Capitalizing on opportunities in these indecisive global market scenarios of seem rather complex. At Market Equations our Financial Research and Consulting teams provide personalized consulting services along with operational, corporate and growth strategies to clients with a vision for advancement. We develop practical financial strategies for our clients to enhance development and value. Our clients gain from actionable insights and advices that we share to them by assimilating issues, solving them and rendering inspired strategies. Operational Analytics: We focus on analyzing operational performance management, commodity forecasting and analysis, strategic planning, etc, and recommend the same to our strategy partners to help them make knowledgeable decisions and logical operations. Corporate Analytics: Business performance management, SWOT analysis, Competitor analysis for industry and business strategies based on bargaining power of buyers and suppliers, threat of substitutes and new entrants and competitive rivalry are conducted to assist clients in accelerating their businesses. Growth Analytics: Venturing into new markets, launching new products etc. are aspects of businesses that determine growth economic indicators. Investment viability, PEST analysis, technical analysis of stock, commodities, forex, currency forecasting and analysis, competitive markets and venture viability are all accounted for in our advisory decisions to deliver complete solutions thereby ensuring sound advancement of the organization. At Market Equations, our elite group of professionals encompasses Business and Financial Consultants and Analysts with an unparalleled depth of domain expertise. 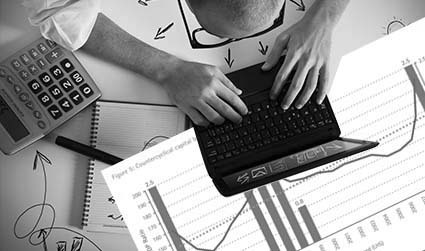 Additionally, our Financial Research and Analysis team comprises of CA's, CFA's, CPA's and MBA's with decades of industry specific consulting experience who excel in analysis and decision makings required to achieve top investment performance.